Madison, WI (March 1, 2018) – Melissa M. Turczyn, a partner in Michael Best’s Corporate & Transactional Practice Group and chair of Venture Best®, has been selected as a recipient of In Business magazine’s 2018 40 Under 40 award. The publication’s annual award recognizes young Madison-area professionals who are thriving in their field and making noteworthy contributions to the community through volunteer work and public service. 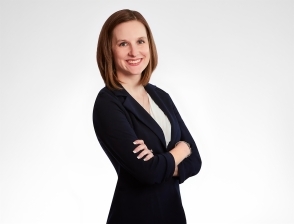 Since graduating from the University of Wisconsin Law School in 2007, Turczyn has made a name for herself in Madison’s legal environment by assisting early stage, high growth companies with all corporate matters, including formation, fundraising, contract drafting, and negotiation. She also helps devise and implement strategies for successful employee and consultant hiring and compensation. Turczyn passionately gives back to the community and serves as a role model to others. Her involvement in the community includes serving as a board member of the Wisconsin Chamber Orchestra. Selected from over 160 applications, Turczyn will be recognized in March 2018 issue of In Business magazine and honored at a networking reception on Wednesday, March 7, 2018 at The Madison Club. Melissa works closely with entrepreneurs and has a strong track record helping to organize, finance, and build early-stage and emerging growth companies. Her broad experience includes aiding startups in industries as varied as IT, medical devices, clean tech, and mobile applications. She also represents venture capital funds, angel funds, and other investors. She also represents venture capital funds, angel funds, and other investors. Melissa’s broad background helps her lead the firm’s Venture Capital Practice Group and Start-up & Emerging Businesses Practice Group.